Fill your own Tea Bags. Tea Cup Size Bags. These classic round draw string empty tea bags are indispensable for all your custom tea blends. A fun and economical way to share any tea formulas you create. These bags are used for filling with 2, 3.5 grms mixture of tea or dry herb or plants. 2) To seal, press with a household iron on cotton setting or use a curling iron. 3) Enjoy a fresh cup of tea! Our tea filter paper is the same tea paper that is used by the largest tea companies in the United States. In fact there are really only two major suppliers of tea filter paper in the world. The tea paper is made of a special blend of thermoplastic fibers, abaca, and cellulosic fibers. 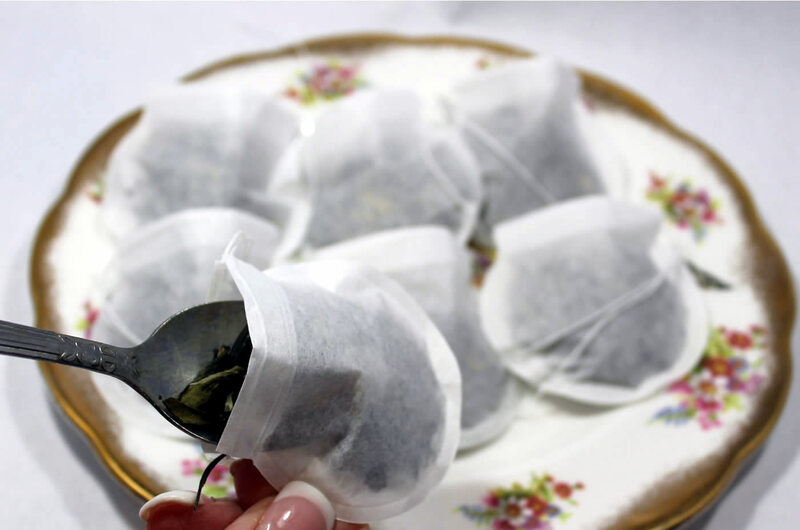 This tissue has a high wet strength with neutral odor and flavor characteristics making it a highly acceptable media for bagging tea. The tea paper is compost-able but not biodegradable.